You’ve booked your flight, reserved your hotel, pre-purchased tickets to must-see attractions, and packed your suitcase. Heck, you’ve even made duplicates of all your travel documents and left copies with your mom. 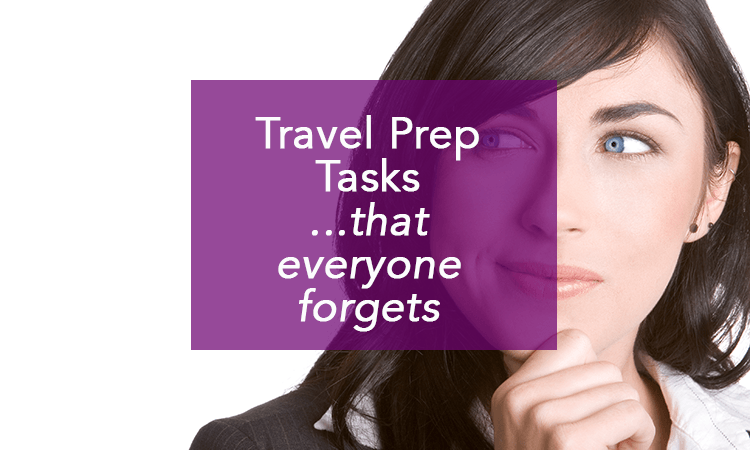 You are a travel preparation pro! But wait: you’re not ready to go just yet! No one likes to think about it, but accidents do happen. Cars wreck, trains derail, and folks choke on fish bones. 1. Access to an excellent travel insurance plan (I like World Nomads Travel Insurance). 2. A paperwork trail that will help folks who may end up having to come to your aid. Never share your passwords…with this one exception. Our lives are lived online these days. And have you ever stopped to think about how many of your daily operations require the use of a password-protected website? From health insurance to banking, passwords are the key to getting things done. But if something should happen during your trip that prevents you from accessing a necessary account, you’re going to want to make sure that a trusted person in your life can step in on your behalf. It can be your spouse, it can be your mom, it can be your attorney–just make sure that someone besides you is able to access your most critical accounts. 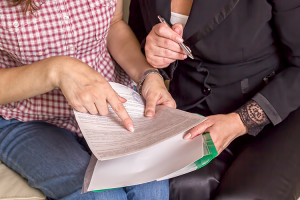 A Power of Attorney (POA) is a legal document that allows someone else to act on your behalf. It’s quite common for deployed military personnel to put these in place before leaving for overseas duty. And if you think about it, going on a big trip has a lot of similarities (although ideally without the warfare aspect), so you should conduct your travel preparation with equal care! If something back home legally requires your input but you aren’t contactable during your journey, there is huge peace of mind in knowing that you’ve lined up someone to act in your stead while you’re away. And, gawd forbid, if you should become incapacitated during your trip, having a POA in place makes it much easier to get things like health insurance and financial matters squared away while you convalesce. It goes almost without saying that you should only enact a POA with someone you trust implicitly. 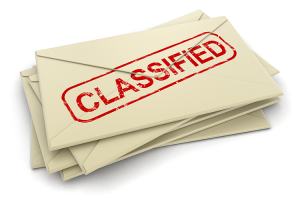 There are several different types of POAs, as well, so you’ll want to consult with an attorney to see which option makes the most sense for your situation. Now is *not* the time to be making critical decisions! 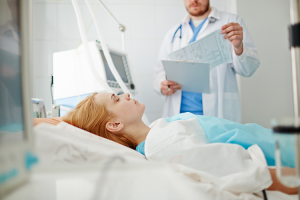 A living will (or “advance directive”) is a legal document that specifies what sort of care you do or do not want, should you become so gravely ill or injured that you are unable to communicate. Do you want all possible measures to be taken to save your life, regardless of the circumstance? Or do you want to ensure no medical intervention if your vital signs flat-line while you are under a doctor’s care? Having a living will in place will make sure that your wishes are carried out, even when you’re not able to enunciate them. Incidentally, this is one of those things you should have in place even if you’re not going on a trip. You need one of these whether you’re traveling or not! 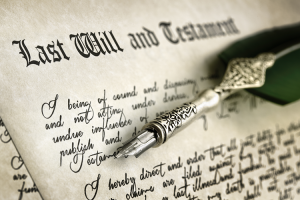 Another thing that so many people put off in their day-to-day lives is setting up a will. And if you’re going on a journey in our increasingly unstable world, that added element of risk—however small—does bump up your chances of something untoward cutting your time on this planet a wee bit short. So, morbid as it may sound, your travel preparation should include getting your affairs in order before you jaunt off to faraway lands. If you have kids under the age of 18, having a will is especially important, because this is where you can name their guardian, should you no longer be around to care for them. Nolo Press has an online DIY will that you may want to peruse if your situation is pretty straightforward; it runs about $60 at the time of this writing. If you have numerous assets or other complicating factors, most attorneys have a basic package that’ll run you a few hundred bucks. Again, I am not offering legal advice; I’m just sharing what I’ve learned in researching this topic for my own use. Like I said, no one likes to think about circumstances that would ever create a need for any of the above items. But denial is not a course of action…especially when it comes to travel preparation! Do yourself—and your loved ones—a favor, and set things up before you travel. Just in case. Did you like this blog? If so, you’ll LOVE my newsletter! I send VIP content out to the tribe pretty much every week. We’re talking extra travel tips, personal anecdotes, and bonus content. Members of the tribe also help me steer the future direction of content on this site! Go ahead and join us over at http://bit.ly/readybetty. I look forward to seeing you! Good advice as usual and we sure are not ready! I’m planning to get on it soon. Thanks!